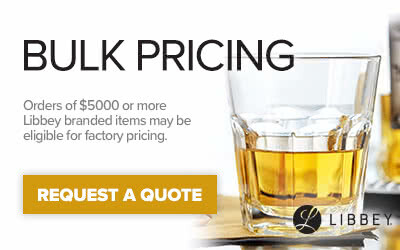 Use this Libbey 70997 31 oz. 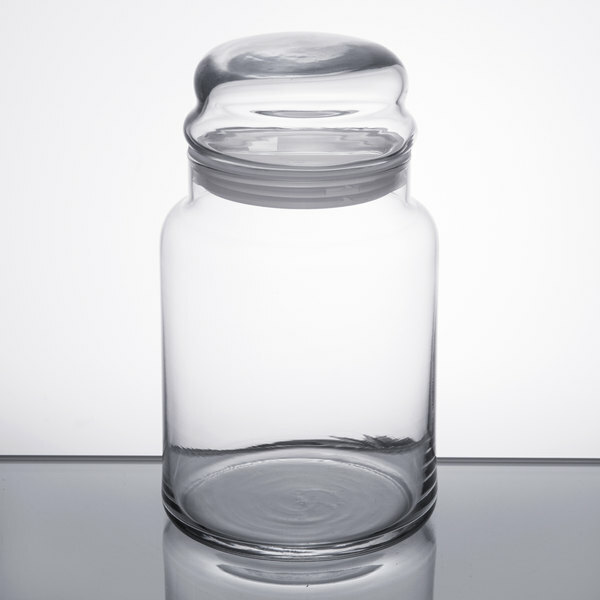 jar with lid for food storage in your establishment. If you’re looking for an attractive yet functional product to hold and present your foods, then this Anchor Hocking 70997 31 oz. 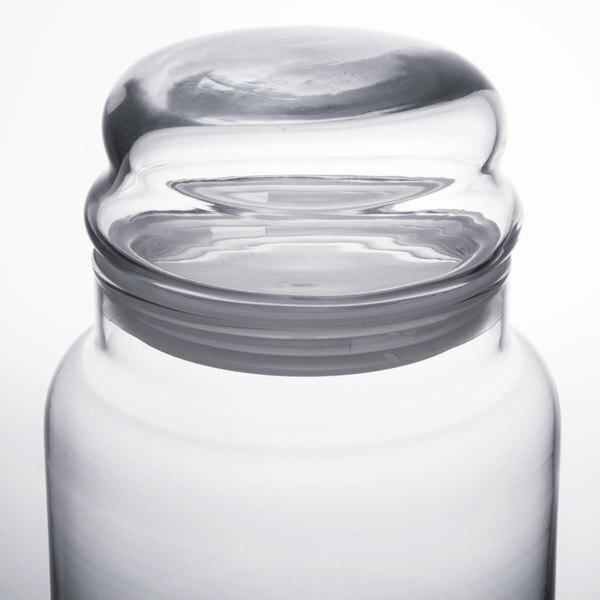 storage jar with a lid is perfect for you. 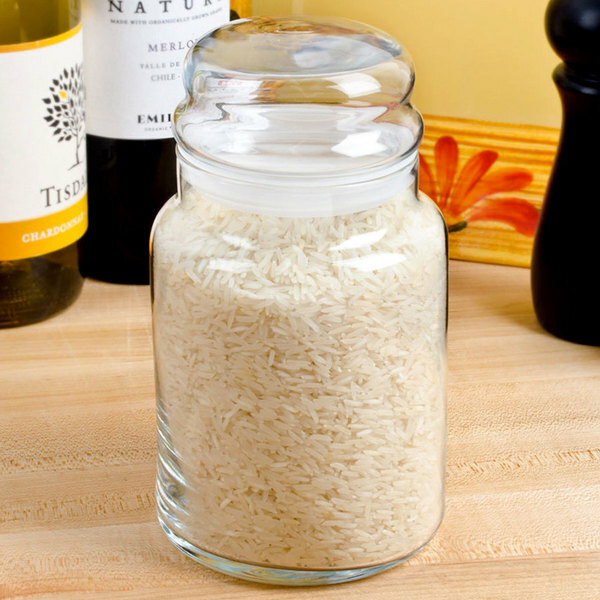 Place this jar in your back-of-house storage area to keep dried rice, pasta, beans, and other foods fresh and organized, or set it out in your front-of-house merchandising area to display baked goods. 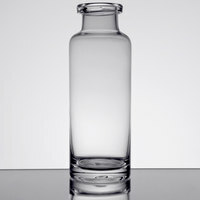 Thanks to its visually-appealing look and crystal clear glass construction, it allows you to set up a nice display. 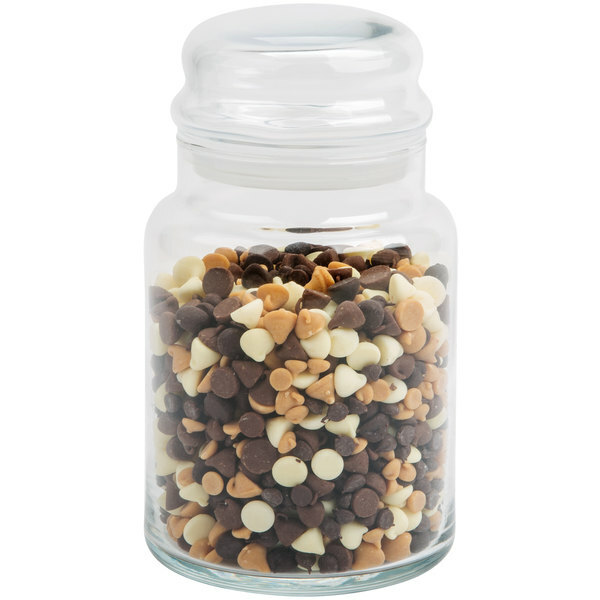 "These are amazing jars that work well for storing small amounts of flour, sugar or even dried spices! 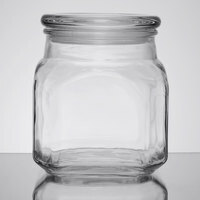 Great jars to pickle and preserve in!!!" Thanks to the 31 oz. 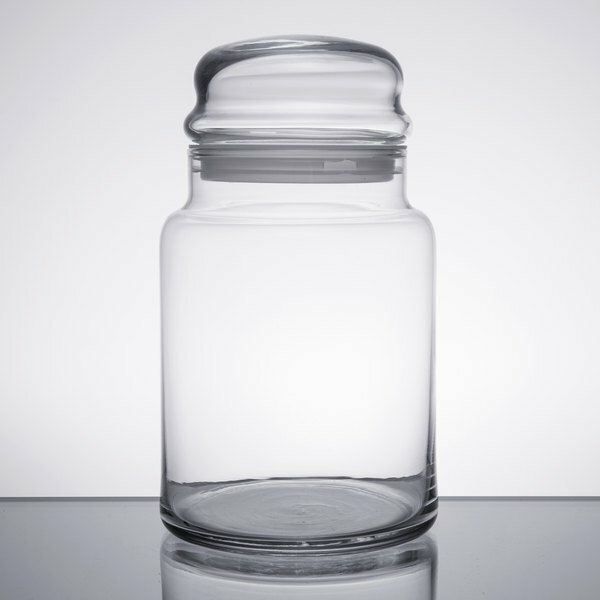 capacity of this Libbey jar, it can be used for your low- to medium- volume storage needs. Use this product to hold ingredients like flour, sugar, and salt, or fill it up with cookies, biscotti, brownies, and other baked goods. 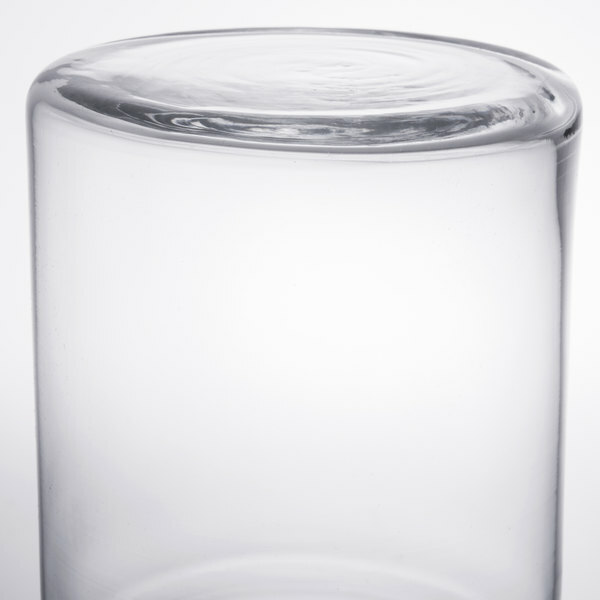 The crystal clear glass construction of this jar allows you to create a visually-appealing display, which can help increase impulse sales. 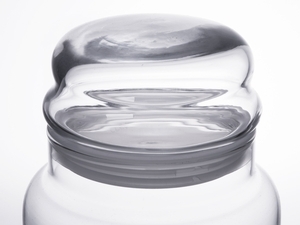 Also, employees can easily see when contents are running low without having to take off the lid. 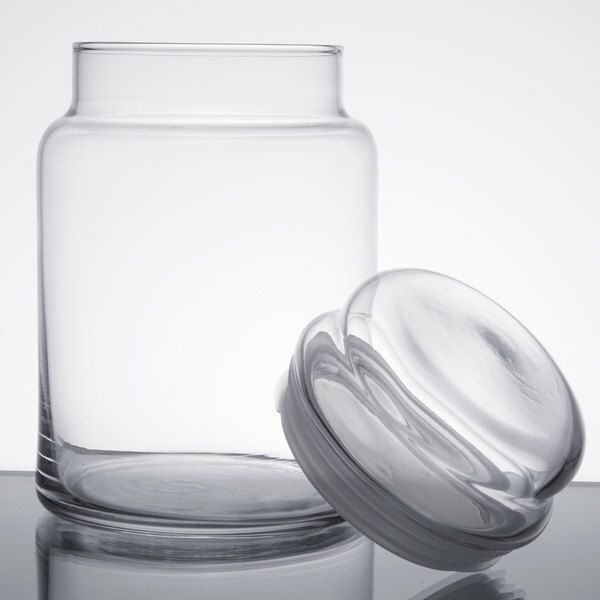 Each jar comes with a compatible glass lid that keeps contents fresh and gives the jar a chic and stylish look. 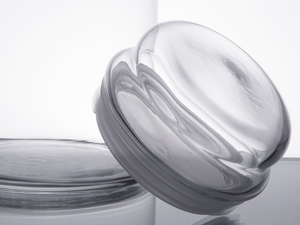 The glass jar's lid features an FDA-approved fitment that ensures an airtight seal, keeping contents fresher for longer. These are great little jars. The seal would make them ideal for storing dry ingredients, however, I used to use them during Christmas time to fill with candies and ornaments as decoration. these little jar looks amazing on my front display. i use these to store cookie, candy and etc. i love it! i would totally buy again. 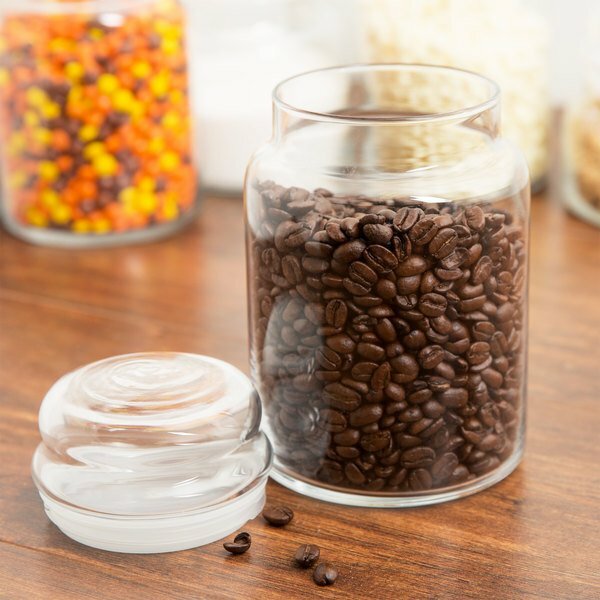 These are amazing jars that work well for storing small amounts of flour, sugar or even dried spices! 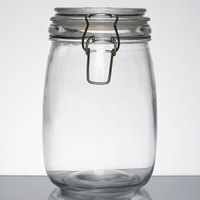 Great jars to pickle and preserve in!! !